Metrics & Sub-metrics drill down: We will now display the primary metric & sub metrics on the metric Detail Screen. Sub metrics have colored circle to indicate their status. The sub metrics are clickable for a drill down effect. 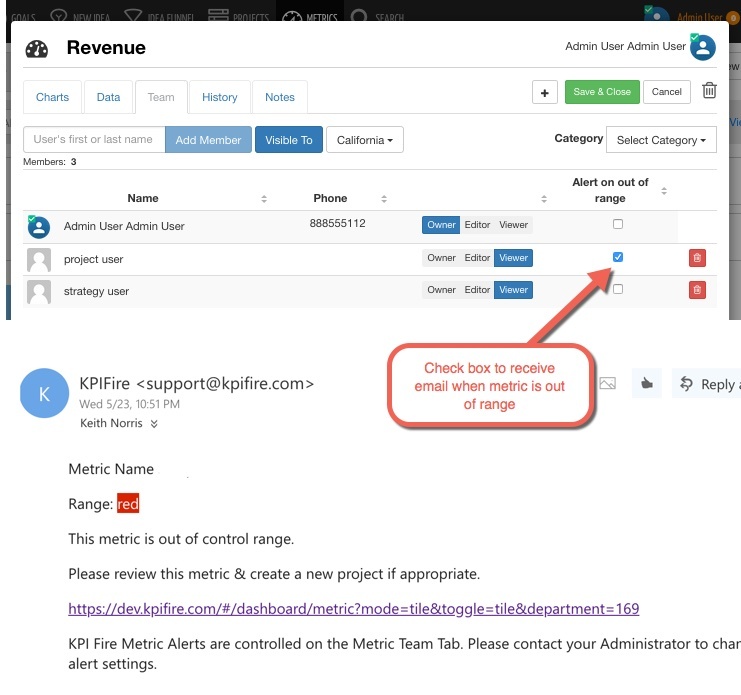 Check the box on the Metric Team Tab and if your metric value is either red or yellow an email alert will be sent with a link directly to the metric. Create a new project linked to a metric directly from the Metric Detail screen. Useful for initiating corrective action projects. 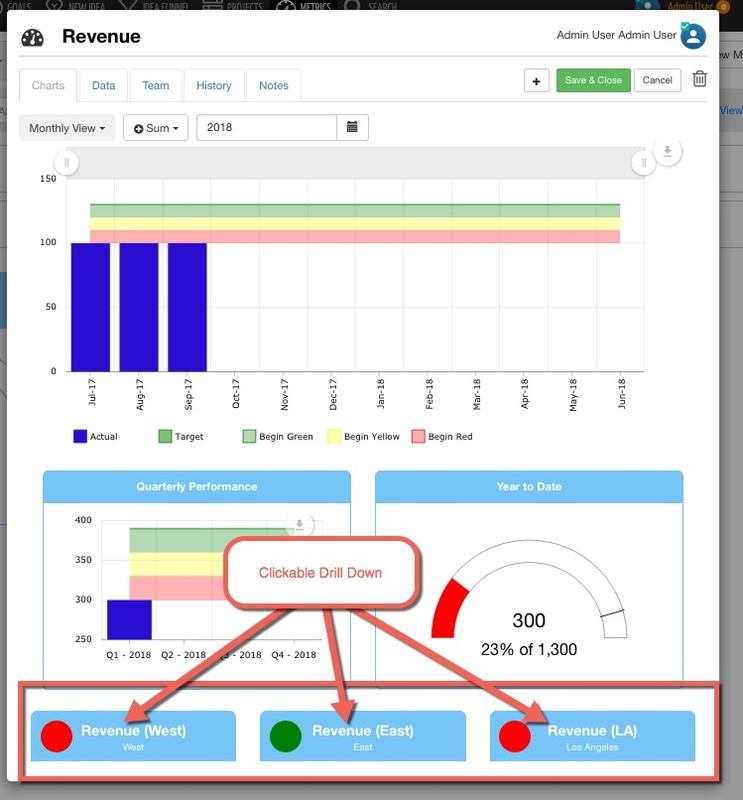 US: Fix Department filters display for department & below and multi-department selection. User Filter updated with Clear & Apply buttons. Clear now unselects All users. Before it would leave the logged in user selected. Tasks jump around when clicked. We added a slight delay on the drag/drop operation. Please comment below if you like this or think we should try something different like reducing the drag/drop target location. Metric Import. Now allows for single line update within the same file. We also recently updated the metric import so it will check Metric Name AND Metric Department in evaluating name matches. This should result in fewer unwanted duplicate metrics to be created on import. US: In some cases, sub metrics on bowling view are not showing the data & not saving correctly. 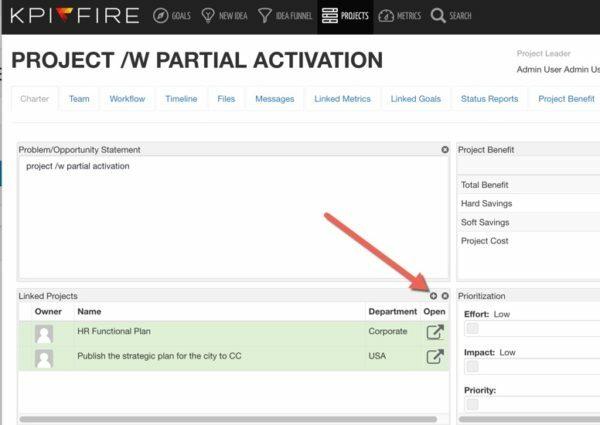 US: Executive user license now able to add tasks to their projects. US: Control stage projects not showing on user profile page. PSH: Smaller is better metric when red is showing green. US: Fixed issue where some projects would not switch to new workflow. Dashboard pages with configurable tiles. This feature is now released in a beta state. We are looking for some input and feedback. We may consider adding Goals & Projects to the Dashboard tab and adding “Dashboards” to the main menu. TBD.